Do you want to have a good impression of Seychelles? On this page you can find holiday pictures of Seychelles. These pictures are made by travellers. If you also have some pictures of Seychelles, then you can put them up here. In the adjoining block is a link to add more pictures. You can find more pictures of Seychelles on the region-, destination- and accommodation pages from Zoover. Do you want to have a good impression of Seychelles? 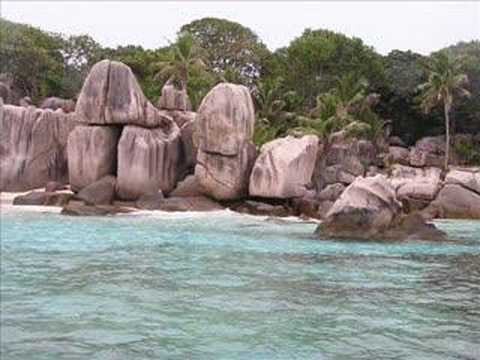 On this page you can find holiday pictures of Seychelles. These pictures are made by travellers. If you also have some pictures of Seychelles, then you can put them up here. In the adjoining block is a link to add more pictures. You can find more pictures of Seychelles on the region-, destination- and accommodation pages from Zoover. Find Zoover reviews of 4 Apartement, 99 Hotels, 1 Holiday home, 1 Aparthotel, 3 Bed and Breakfasts, 5 Bungalows, 2 Chalets, 5 Lodges, 1 Pension and 7 Villas in Seychelles. Additionally you can see 2 videos of Seychelles on Zoover. The most reviewed destinations in Seychelles are Praslin, Mahe, La Digue and Insel Silhouette. You can find more destinations by clicking the tab 'destinations’. Popular day-trips in Seychelles are Vallei de Mai Natuurreservaat.